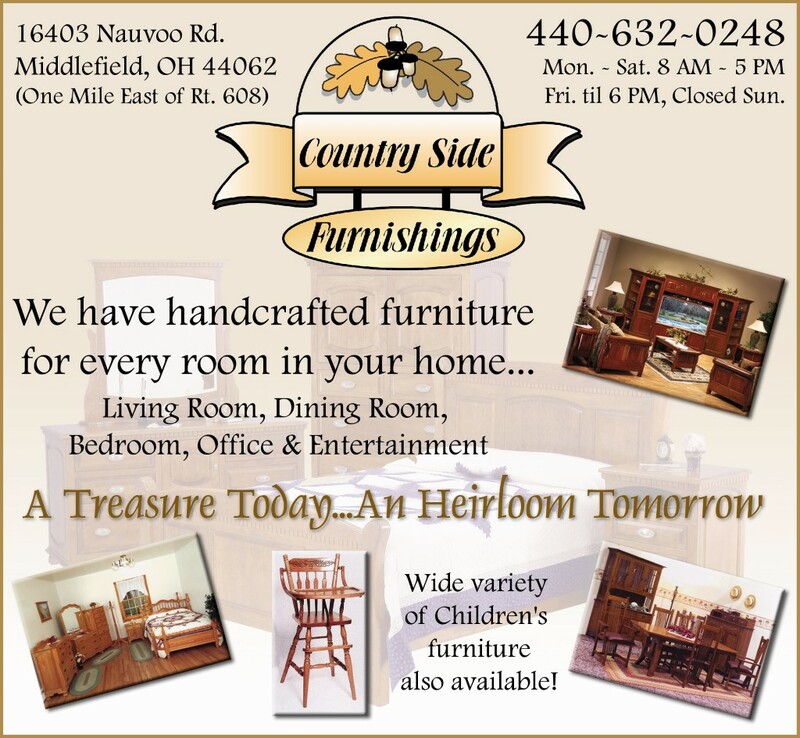 ﻿ Country Side Furnishings - Ohio. Find It Here. 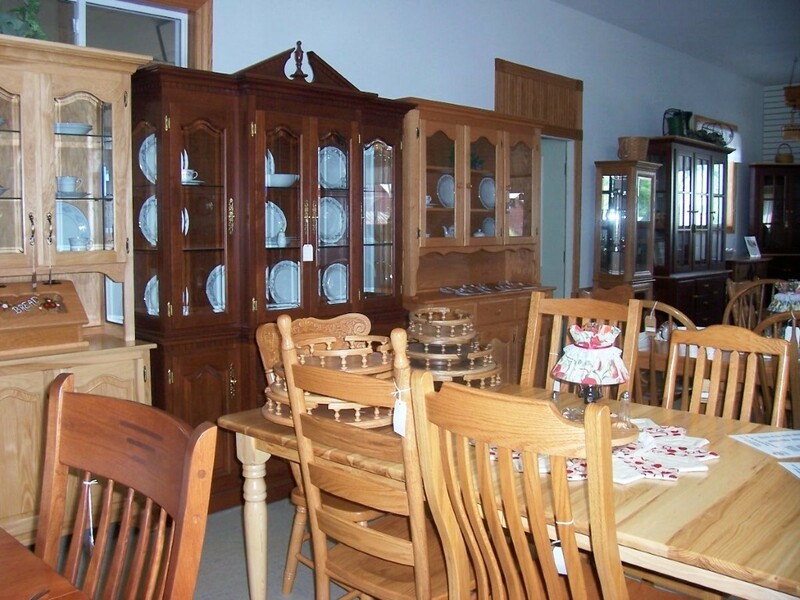 Nestled in the heart of Amish Country in Middlefield, Ohio, you'll find Country Side Furnishings brimming with furniture treasures. Solid Oak, Maple and Cherry fine wood pieces of every description are displayed. 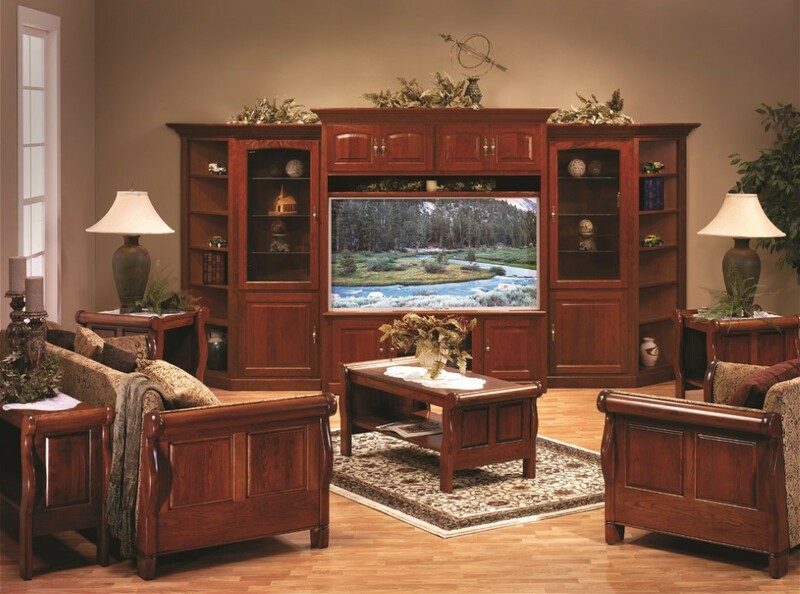 We carry several types including Country, Mission, Shaker, Queen Anne and Contemporary furniture to fit most any decor. 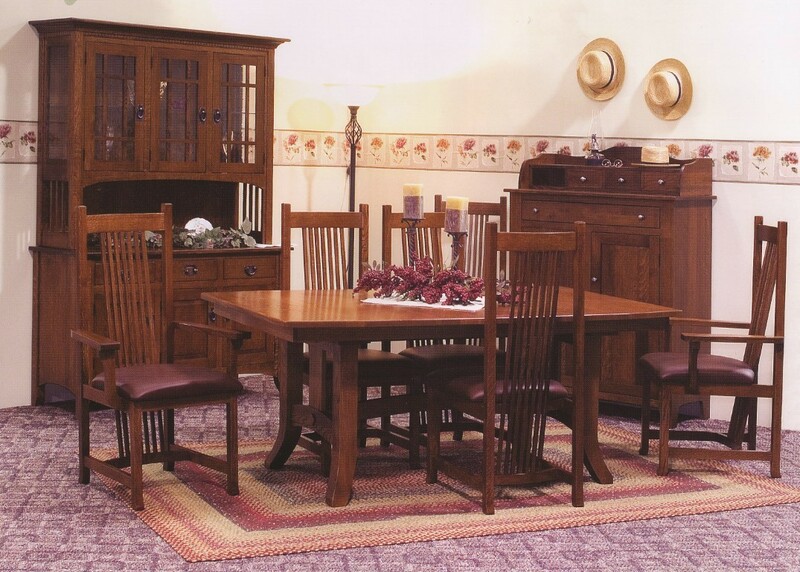 We offer a wide variety of dining room tables with hutches, entertainment centers, occasional chairs, home office furnishings, bedroom sets, sofas and loveseats, chairs, tables, occasional pieces and children's furniture. 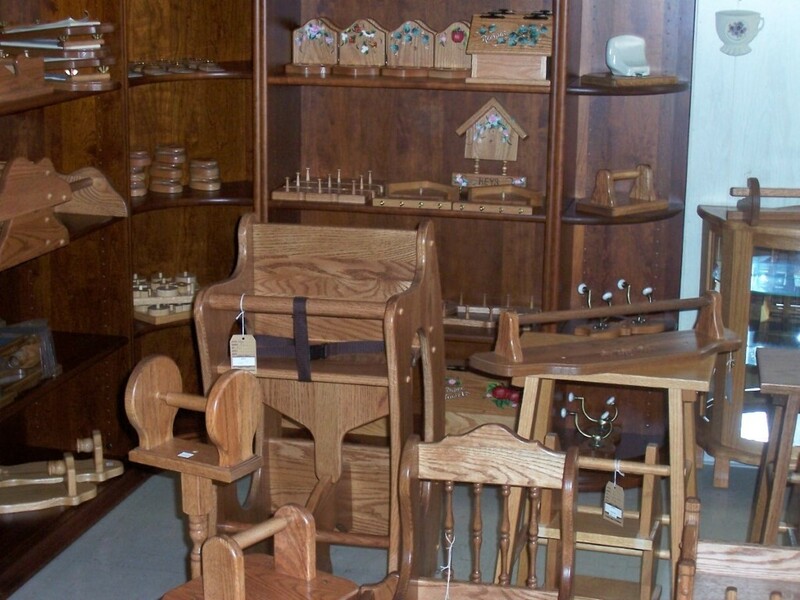 We also feature a large selection of wooden crafts, toys and accent pieces.